In the middle of our thesis-writing, we gave an interview on the Web of Things to the american Discover magazine for a special issue on the invisible earth. The interview just got published and I wanted to share some thoughts about it with you. What are the killer apps of the Internet/Web of Things? A simple and not exactly rare question, so I came up with a number of traditional answers taken from our previous work and prototypes such as: drastically simplifying home automation and expending the cross-devices possibilities, making end-user things programming a reality, allowing (real-time) and tracking of every goods on the planet, making cities/transportation/agriculture smarter, linking objects and people through social networks, finding your keys anywhere in the world, etc, etc. I also gave him a number of links to great startups in the field and briefly described some of their products: Evrythng, IoBridge, ThingWorx, Sen.se, Koubachi, Mirasense, OpenPicus, the Sun Spot crew, etc, etc, etc! No way! He was still not finding a true killer app in those. 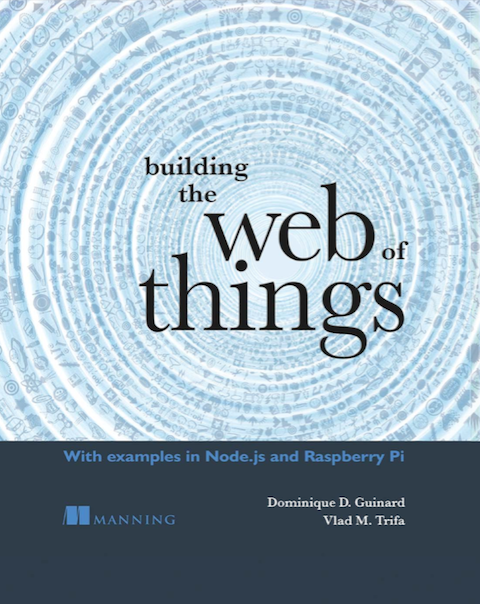 My take is that although the world is almost ready for the Web of Things, we (as a community) still have to get a bit more down to earth, thinking beyond platforms about very simple use-cases that we can implement today already and that people can relate to. Previous story HomeWeb and Android at Home – challenges? Thanks a lot for your comment Ajit and thanks for posting your list of influencers! Eager to read more! To me it seems like cars and tv’s will be the first things that we will take for granted that they are connected. Lots of different services for entertainment and security starting to show up in new cars (BMW apps etc). The problem is of course that we will have different systems for each manufacturer and no “command center” for all our connected things. It will be interesting to see who will come up with a tool to manage all our things similar to Ericsson Research’s Social Web of Things concept. TVs and cars seem indeed to be good starting points. Seems like samsung and their TV app store (http://www.samsung.com/us/appstore/) as well as their decision to have a webserver in each new TV set are on the right track of creating some kind of a killer app or at least a killer platform! It is a very good point. The “killer app” has always been a critical question for WSN and IoT. We all assume/know that WSN and IoT will shape the future world of “connected devices”. However, the question is “So, if and when all the devices are connected, how much will it benefit consumers and at what cost?” Simply saying “the refrigerators will be able to talk to TV sets” will not drive the adoption of WSN and IoT. Or saying “you will be able to save electric bill by $10 a month” will not drive the adoption, either. We need to start from very real applications that consumers can feel real benefits by heart and are willing to pay for, even if the applications may be mundane and unattractive. Frankly, today’s conventional WSN technology cannot fulfill the requirements to implement the world of true ubiquitous computing. Today’s technology still cannot connect millions of self-powered (or no-powered) devices/sensors/actuators and let them communicate intelligently and reliably without human intervention. It is one of the reasons why conventional WSN and IoT still stays in niche markets only. This reality, of course, will change in the future. But before that, we need to get down to earth and think about what application can truly benefit consumers that they will be eager to get it. Would be difficult to agreeing more with you, that’s exactly the point I want to make, let’s get down to earth and think about small improvements that we can make today already. Having said that generally I think that human intervention to a certain degree is a rather good thing. I’d like the IoT/WoT to facilitate communication and integration but not necessarily to completely take over and think ahead of our needs. This might happen but as you said, is not likely to happen soon. Until then let’s use the WoT to help people combining their devices like they would combine Lego bricks! I also see a lot of good posts on your blog. I also started following your WoT account on twitter. I agree it is quite upsetting to see Ericsson’s patent application. Well, they can file whatever they want to file. But as you said, I hope the patent office does a good job and eventually narrows it down to the point it makes sense as a new patent. At the end of the day, it is not like this is a totally new idea.